There are two types of recipes I get asked to make the most: breakfast recipes and dinner recipes. I think we’ve gotten the dinner recipes down pat – from curries to stews to tacos pastas to vegan fish sticks. It’s pretty much all been covered and of course many more to come! Now the vegan breakfast recipes? It’s not until I wanted to share my favourites with you that I realise that I need to do way more vegan breakfast recipes for you!! Let’s start with these 10 favourites right now, and I’ll definitely be sharing way more! If there’s a recipe you know you want to see, let me know! 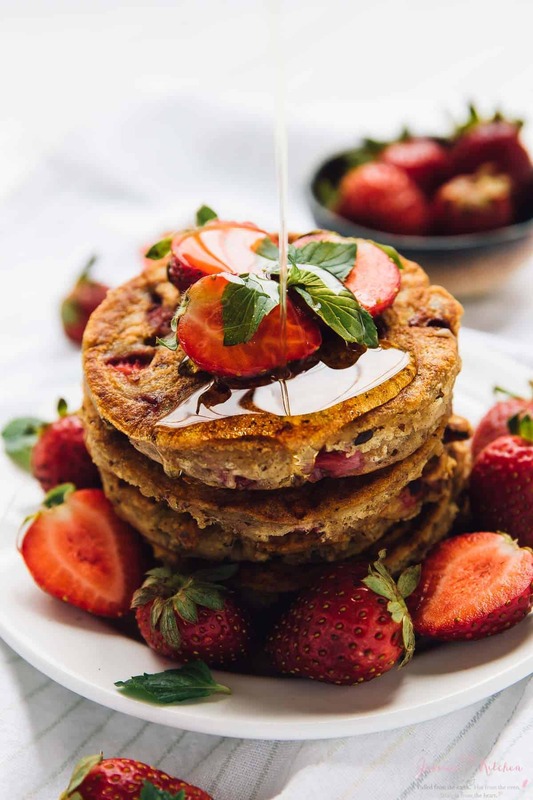 Vegan Strawberry Pancakes – fluffy, fruity and meal preppable! 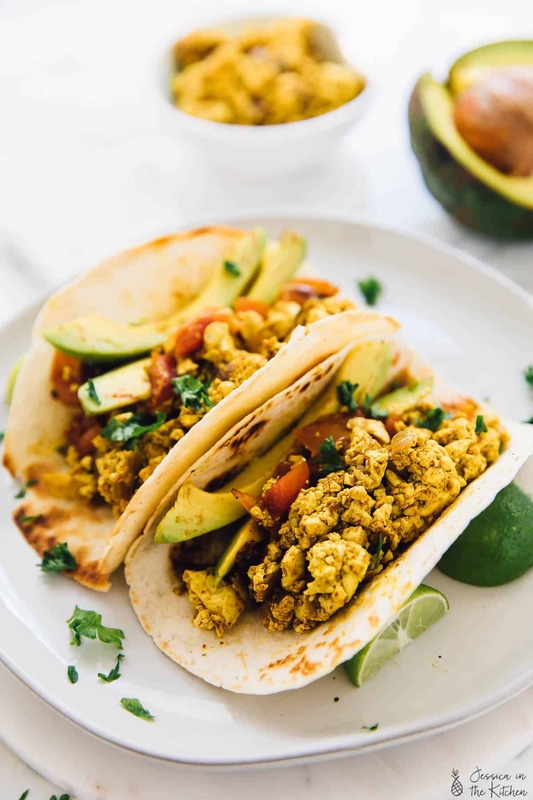 Easy Southwestern Tofu Scramble Breakfast Tacos – I’ve had this once a week since making it on the blog. 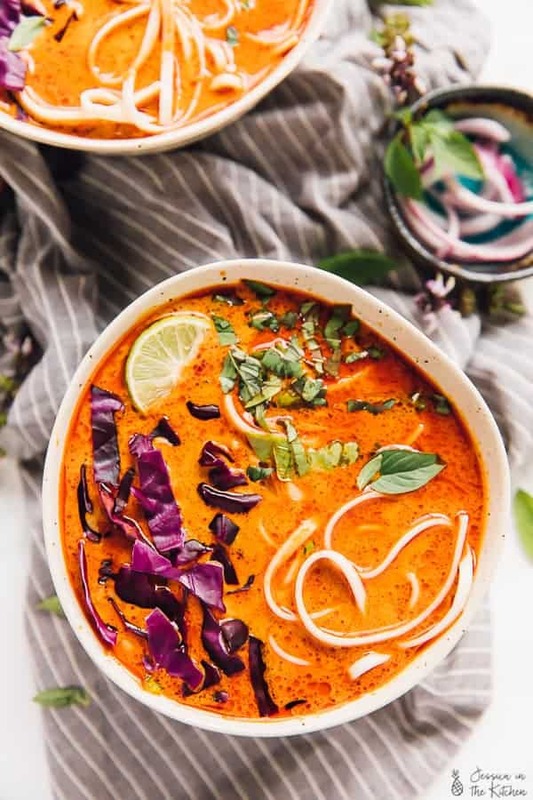 It’s soooo good and hits the spot, especially if you’re craving eggs or a savoury breakfast! P.S. I heard you using black salt gives it a really sulfur-like taste! 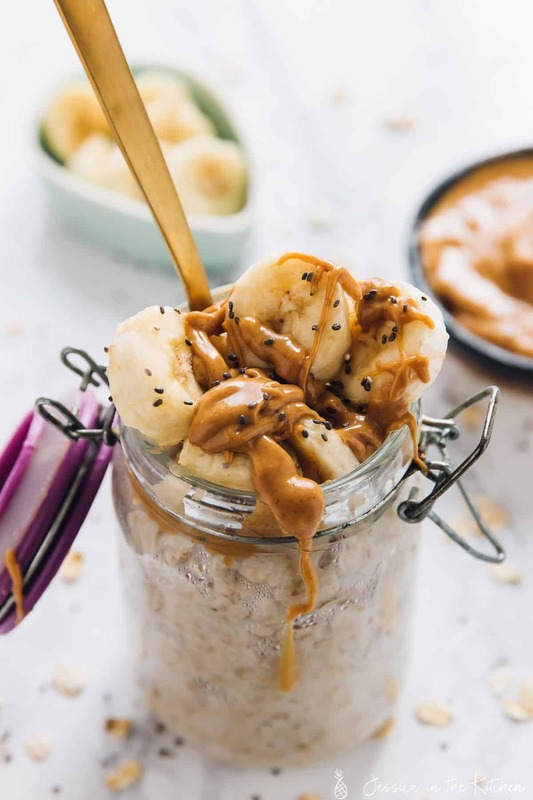 Peanut Butter Banana Overnight Oats – I love a great overnight oats. 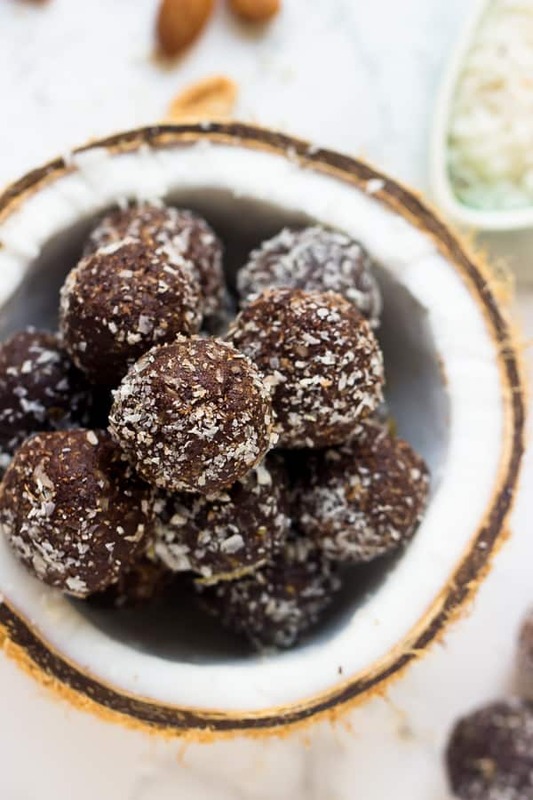 This one adds in protein and fibre and is the perfect texture. 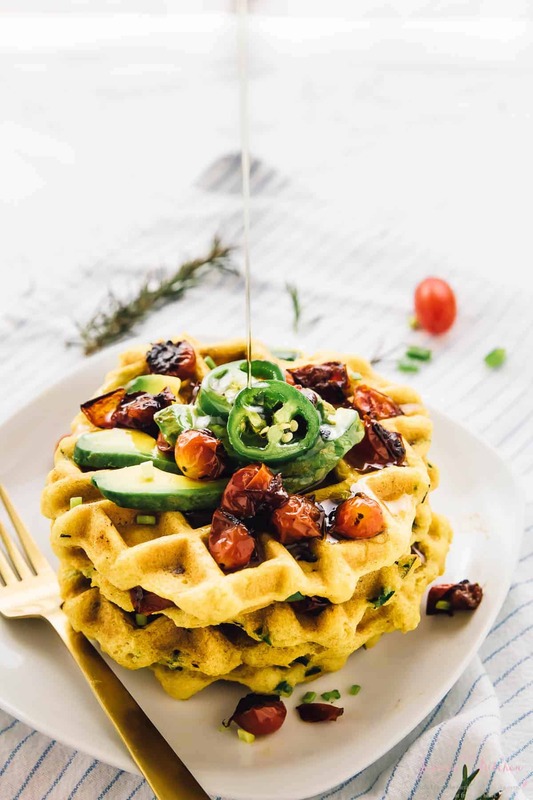 Jalapeńo Cornbread Waffles with Roasted Garlic and Rosemary – these are my favourite savoury waffles ever! We’ve even made them into mini waffles for a brunch! 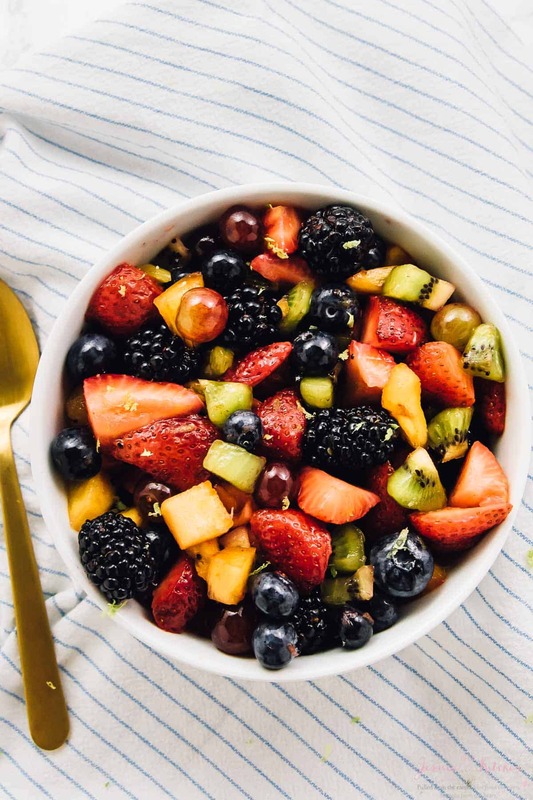 Rainbow Fruit Salad with Maple Lime Dressing – if you want the ultimate fruit salad of your life, this is it. It’s not even just the fruits, it’s that sweet like dressing. Feel free to adjust this based on where you live to keep some local fruits in it. 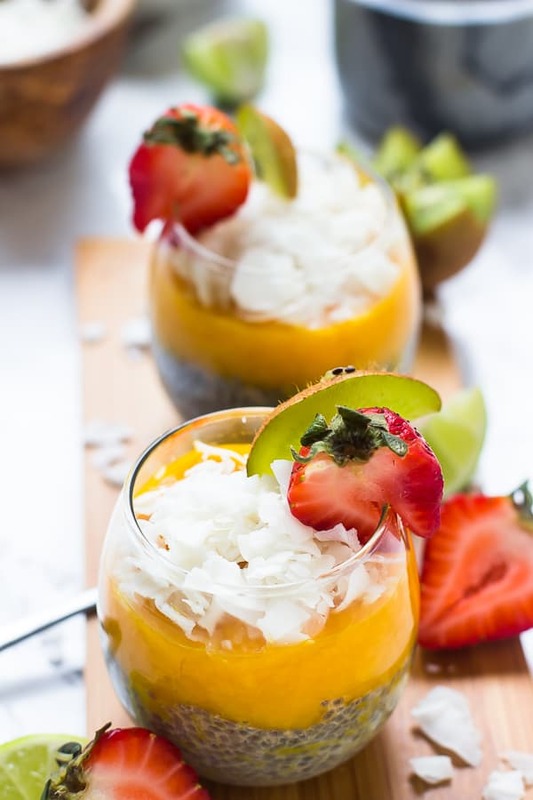 No Bake Mango Coconut Chia Pudding – chia pudding for the win! The mango and coconut adds a really tropical flair to it and it’ll keep you full for hours. 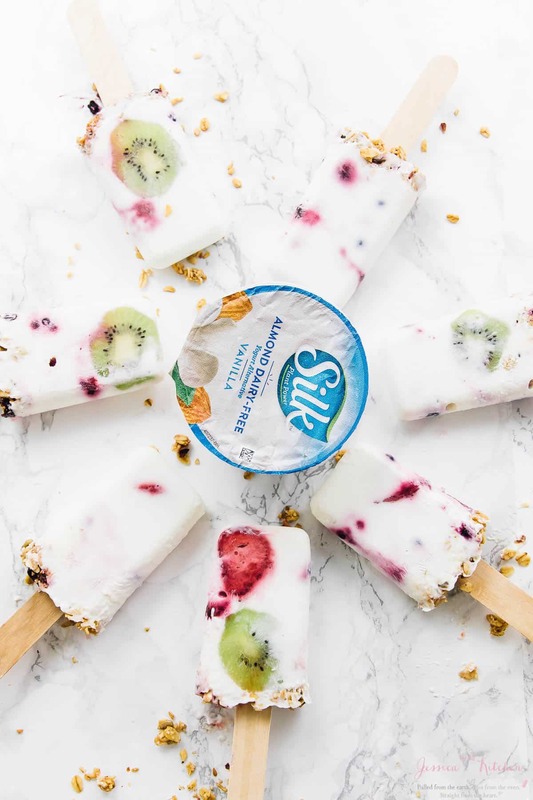 Vegan Yogurt Parfait Breakfast Popsicles – beautifully impressive, great for kids and so delicious!! 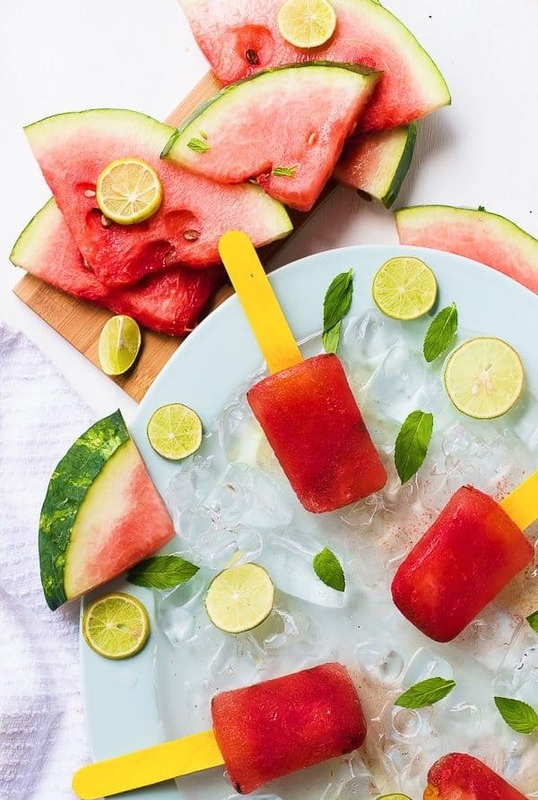 Great for those hot mornings. 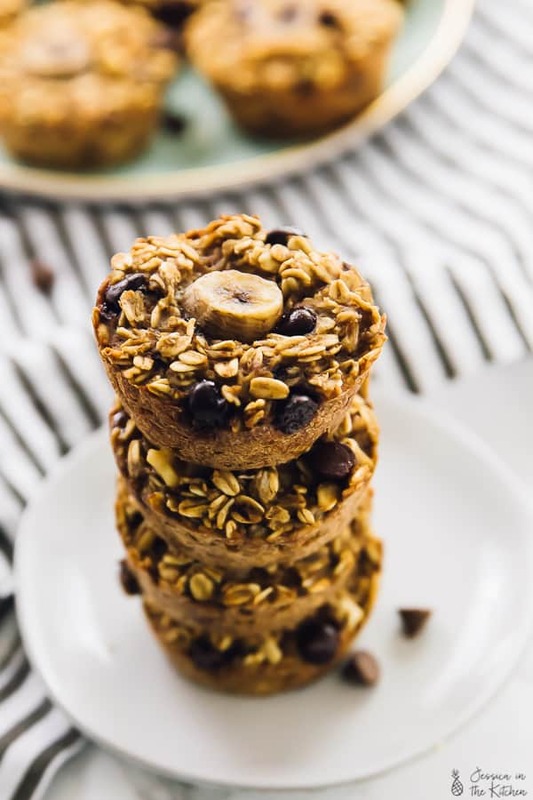 Baked Banana Bread Oatmeal Cups – these oatmeal cups are SO amazing for meal prep! I’ve made them so many times, and I love the flavours in it! 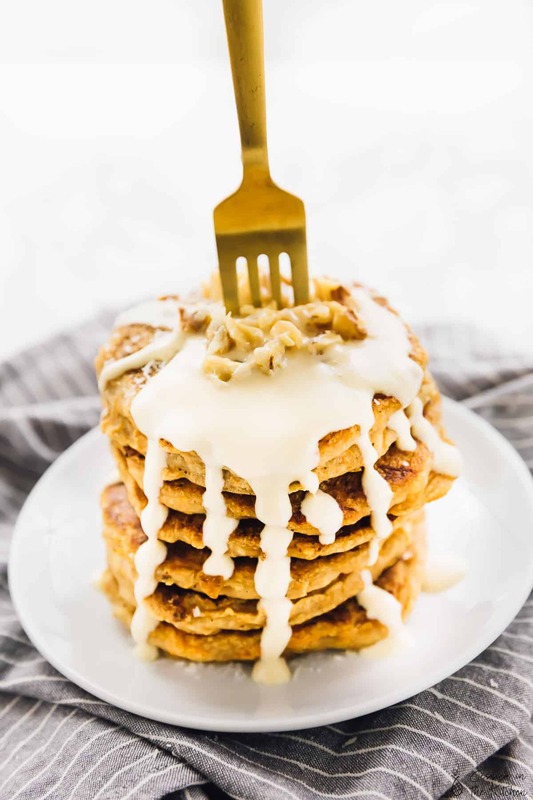 Vegan Carrot Cake Pancakes with Maple Cream Cheese Drizzle – I mean, these are a total stunner and already have so many reviews. The maple cream cheese drizzle is the star of the show! 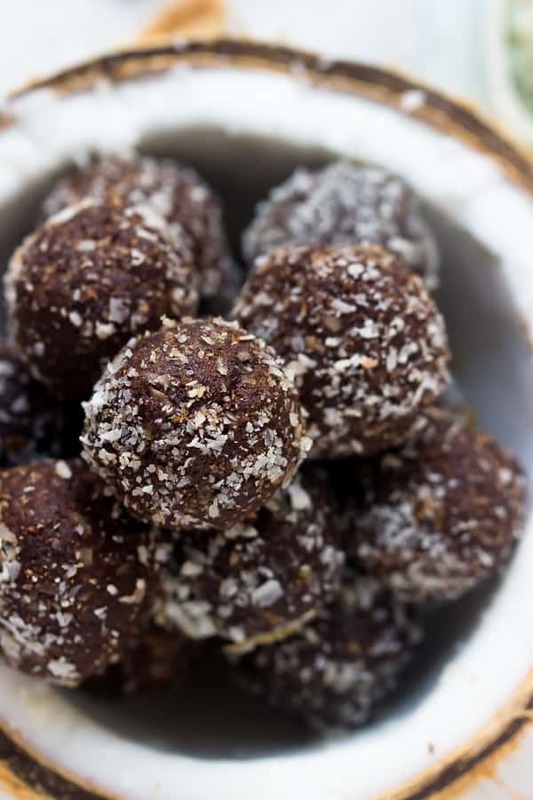 No Bake Brownie Energy Bites – last not but least, these bites are if you’re craving dessert for breakfast, in a much healthier form. Which one is your favourite friends and what are you trying next?! Let me know in the comments section below! 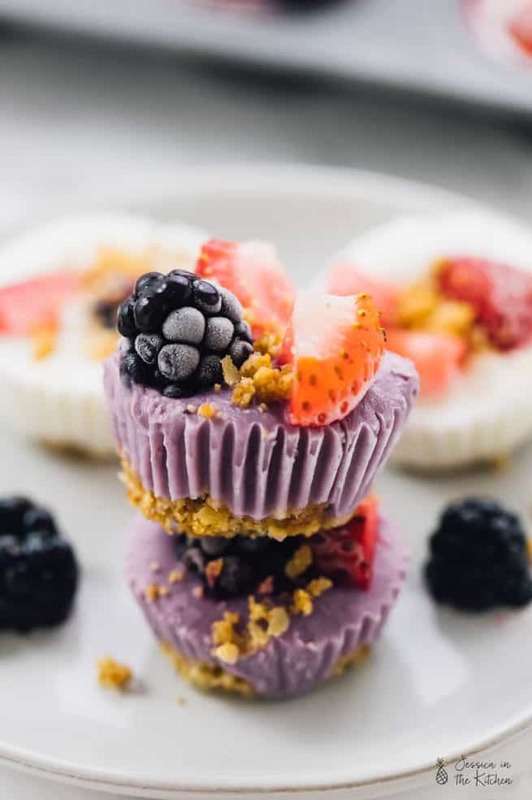 I am definitely breakfast person though I am not vegan, but would be more happy to enjoy these breakfast treats! They look so amazingly delicious, Jessica. Hi Angie! Wow thanks so much for your kind words we truly appreciate it!! Just so you know your recipes are incredible as well! !